Cherry blossom trees have long been associated with Japanese culture, and celebrating them in bloom is widely documented. The blooming season is short, which is why the Japanese associate the trees with the fleeting beauty of life. A reminder to stop and enjoy the magnificence life offers while we can. Yet we do not have to sit on an inevitably long flight Japan to experience firsthand the cherry blossom trees. 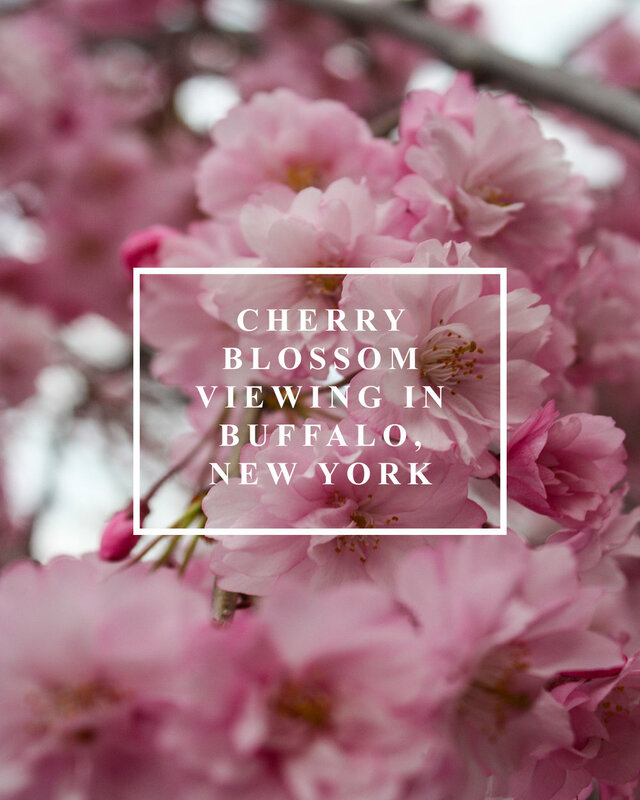 Buffalo, New York is one of the best spots in the country to see the timeless beauty of the sakura (cherry blossoms). Behind the Buffalo History Museum you can find Buffalo's Japanese Garden next to Delaware Park. Last year I was in college across the street from the garden, and took advantage of breaks between classes to walk over and sit under the cherry blossom trees while eating my lunch. If you walk around the city, you will inevitably find cherry blossoms dotting the side streets. I happen to be lucky enough to live in a neighborhood with numerous trees that bloom, and look forward to the tranquility of sitting under them with a cup of coffee and good book each year. If you happen to be by University of Buffalo South Campus, Main Street side has numerous side streets and meridians with beautiful cherry blossoms as well. Hanami (or flower viewing) in Buffalo has a later bloom than the most popular destination in the States, Washington D.C. Our Cherry Blossom Festival is held in May 2-6 this year, and you can check out the details here.